Introducing Character Evidence of Prior Bad Acts in a Civil Case - В сложной финансовой ситуации приходит на помощь кредит наличными в Казахстане. “Relevant evidence is evidence tending to prove or disprove a material fact.” Fla.Stat. s. 90.401. I have previously discussed that evidence needs to be relevant for it to be admissible but that not all relevant evidence is admissible (e.g., if the probative value of that evidence is outweighed by unfair prejudice, etc., then the relevant evidence is not admissible). When is evidence of a person’s character ever relevant (such as the character of a plaintiff or defendant) to prove or disprove a material fact in a civil case? Generally speaking, it is not relevant and, even if it was relevant, the probative value is probably outweighed by the evidence’s unfair prejudice. This exception refers to what is known as “prior acts” or “prior bad acts” evidence. But, when would prior bad acts come into play in a civil case? Specifically, when would introducing evidence of prior wrongs or bad acts by a party be admissible in a civil case to prove “proof of motive, opportunity, intent, preparation, plan, knowledge, identify, or absence of mistake?” And, even if an argument could be made for the relevancy of character evidence, wouldn’t the probative value of this evidence be outweighed by the evidence’s unfair prejudice? Here is an example where character evidence was improperly admitted warranting a new trial for a defendant in a civil case. In Jacobs v. Atlantic Coast Refining, Inc., 2015 WL 2214140 (Fla. 4th DCA 2015), a man hired his girlfriend as a bookkeeper for his company and authorized her to sign checks on behalf of his company. Apparently, the girlfriend wrote hundreds of thousands of dollars in checks to herself or to pay off her credit card. After the couple broke up, the man argued his former girlfriend embezzled company funds and sued his former girlfriend for claims including civil theft and conversion. The man wanted to introduce evidence reflecting that this wasn’t the first time his former girlfriend embezzled a company’s funds–prior acts evidence. During the former girlfriend’s first marriage, she worked for her husband’s medical office. After the divorce, the ex-husband filed a post-dissolution motion regarding her embezzlement of his company’s funds that was later resolved. In other words, based on the allegations in a motion, she was accused of doing the same thing to her ex-husband’s company that the man asserted she did to his company. The man wanted to introduce the post-dissolution motion in his trial under Florida Statute s. 90.404 to show his former girlfriend’s “knowledge, preparation, plan and identity.” Although the former girlfriend moved in limine to exclude this evidence, the judge denied the motion, and the former girlfriend was questioned about the contents of the post-dissolution motion involving her former husband. The jury entered a verdict for the man against his former girlfriend that was reduced to a judgment by the trial court and the former girlfriend appealed. The appeal was focused on the trial court allowing the man’s counsel to ask the former girlfriend questions about the contents of the post-dissolution motion. The only reason to do so was to show that the former girlfriend had the bad character and propensity to commit the embezzlement in this case based on her prior bad acts. 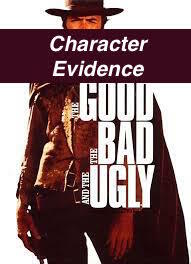 Remember, character evidence is inadmissible solely to prove bad character or propensity. The appellate court held that questioning the former girlfriend about the post-dissolution motion amounted to improper character evidence. Further, the appellate court held that even if this evidence was relevant by falling within an exception under Florida Statute s. 90.404(2)(a) to prove more than just bad character or propensity, any probative value of this evidence was outweighed by unfair prejudice deeming this evidence inadmissible.